Mouser Electronics is now stocking the latest Intel Atom 22nm 64-bit multi-core processors with USB 3.0 and graphics support, which have been developed to target high-performance low-power applications ranging from smartphones to intelligent embedded systems. 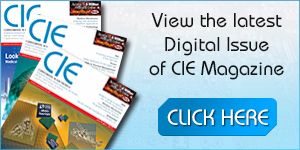 EBV Elektronik is offering its customers online access to comprehensive information about all applications, markets and technologies in the Vertical Segment of Identification. As well as providing an overview of markets and applications, the new EBV Identification website contains information on everything from general material about the subject of identification to detailed descriptions of the actual applications. NLT Technologies, (previously known as NEC LCD Technologies), a joint venture company between AVIC International and NEC Corporation, and a leading manufacturer of TFT LCDs has awarded a new distribution franchise to the UK specialist distributor Advanced Power Components. NLT it has been looking to increase market share in the UK and, accordingly, NLT’s European trading organisation, Renesas Electronics, has added to its list of outlets and signed a new franchise agreement with APC to distribute NLT display products through its APC-Displays+ product team. A new Molex ultra-low profile SMT wire-to-board system is now available from TTI. The system has a unique side positive-lock design and is only 2.0mm high when mated, which enables significant space savings, yet its 1.50mm pitch can accommodate up to 3.0A. 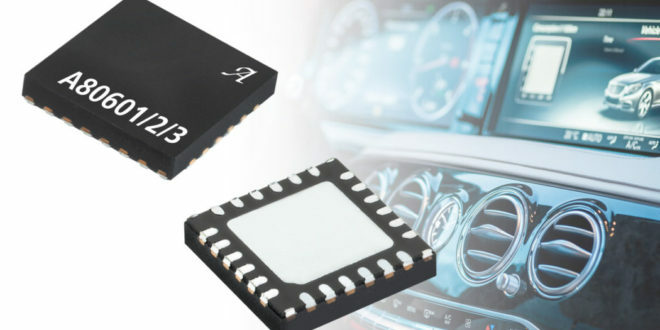 Mouser Electronics is now stocking the world’s first Inductance-to-Digital Converter from Texas Instruments which is a contact-less, short-range sensing technology. RS Components (RS)is now stocking Arduino Yún, the first member of a new family of wireless products that integrate the open-source Arduino architecture with Linux. Arduino Yún, meaning ‘cloud’ in the Chinese language, combines the existing Arduino Leonardo, based on Atmel’s ATmega32u4 8-bit microcontroller, with an embedded Atheros AR9331 Wi-Fi system-on-chip (SoC) running Linino, a MIPS GNU/Linux variant of OpenWRT. 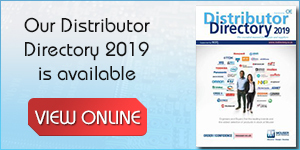 Global electronic components distributor, Digi-Key Corporation, has unveiled a range of new new website features and updates including a new Search Accelerator designed to make it faster and easier for customers to search for electronic components. This new feature kicks off a series of global website improvements designed to accelerate information access and simplify the ordering process. Mouser Electronics is stocking the new Panasonic PAN1322 Place & Play Bluetooth Module from Panasonic Electronic Components, an all in one Bluetooth module with smartphone compatibility. Rutronik is distributing the new Fujitsu D3231-S, a family of industrial mainboards. The µATX with its Intel Q87 Express chipset supports the latest Intel Core processors i7/i5/i3 with LGA1150 up to 95W and dual-channel DDR3 1600/1333 SDRAM memory up to 32GB.